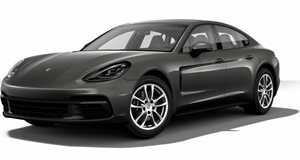 The all-new Porsche Panamera has been universally acclaimed for being a vast improvement over its predecessor. Yet Russian tuning house, TopCar, has gone out of its way to add a slew of aftermarket parts for the super sedan as well as giving it an additional 100 horsepower. Making the Panamera sportier and more aggressive, TopCar created a carbon-fiber body kit littered with massive air vents, a large rear diffuser, quad exhaust tips and one particularly odd feature in the form of recessed door handle for the rear doors. The roof, hood and rear wing have all been given the carbon-fiber treatment, while the tuner offers a range of alloy wheels, including the 21-inch examples shown in the pictures. While demonstrated on the Panamera Turbo, all the body parts are compatible with all Panamera variants. To match the menacing new look, TopCar upped the power in the 4.0-liter twin-turbo V8, increasing output to 650 horsepower, which should help the Porsche improve on its already impressive 0-62 mph time of 3.6 seconds and 190-mph top speed. TopCar will also customize the luxurious four-seat cabin using a range of opulent materials, ranging from crocodile leather and 24-karat gold to rare woods and carbon fiber. We would love to see what the tuner can do here, however it failed to supply any interior shots of the car. Prices for the entire suite of upgrades are available upon request, with the body kit priced at 24,556 Euros, or just under $28,000 at today’s rates.